Steve decided to start up a new gutter-cleaning business which used the latest technology to vacuum gutters without the need for dangerous ladders, and came to us for some start-up advice. We were so impressed with Steve and what he was offering, we even got him to clean out our own gutters! As Steve did not have a firm concept of what either his business name or image should be, we produced a number of branding design concepts so that he could get a feel for which might fit him best. Inspired by the idea of a trustworthy individual who protects homes and can reach four storeys high without a ladder, the superhero concept won out. 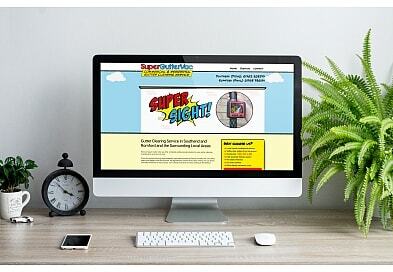 This also gave us scope to produce some exceptionally high-impact artwork and a fun, animated website which allowed Steve’s unique business to really stand out from the more traditional competition. 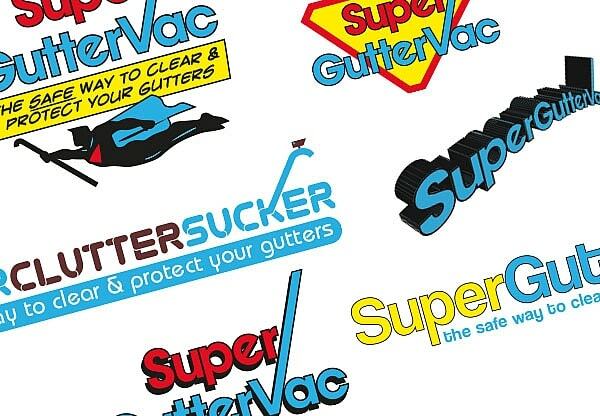 SuperGutterVac advertising, incorporating the new SuperGutterVacMan logo, ‘Safer! Faster! Better!’ message, and brightly coloured, comic book stylings, was rolled out in a comprehensive leaflet and magazine marketing campaign to great effect, and Steve even enjoyed exclusive coverage in Oracle magazine. 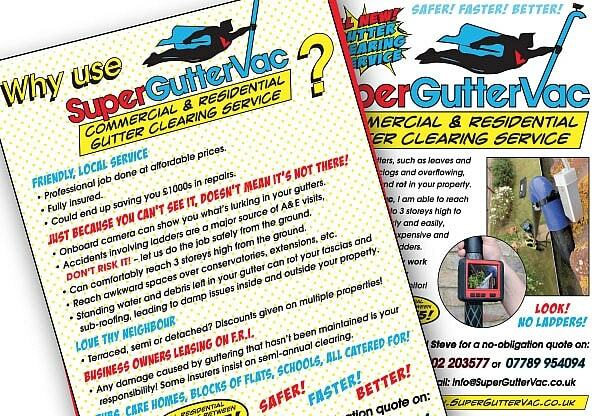 We handled all aspects of creating the superguttervac.co.uk website, so that Steve – a self-proclaimed technophobe – only had to tell us if he wanted any modifications or updates added.